Capetonians are very proud of their city and have a friendly rivalry with South Africa’s other big city, Johannesburg. Whenever a resident of Johannesburg, of which I am one, speaks to a Capetonian, one is met with comments similar to the ones above. 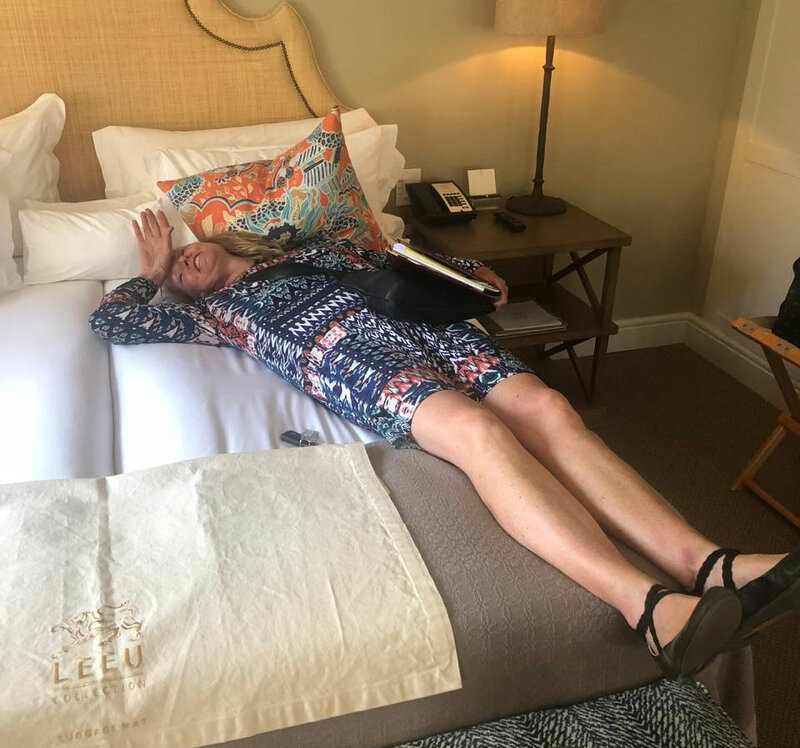 So, recently a colleague and I popped down to the famous Cape Town and its environs, not only to see the “mountains and oceans”, but to evaluate some of the magnificent properties available for our Pulse Africa clients. 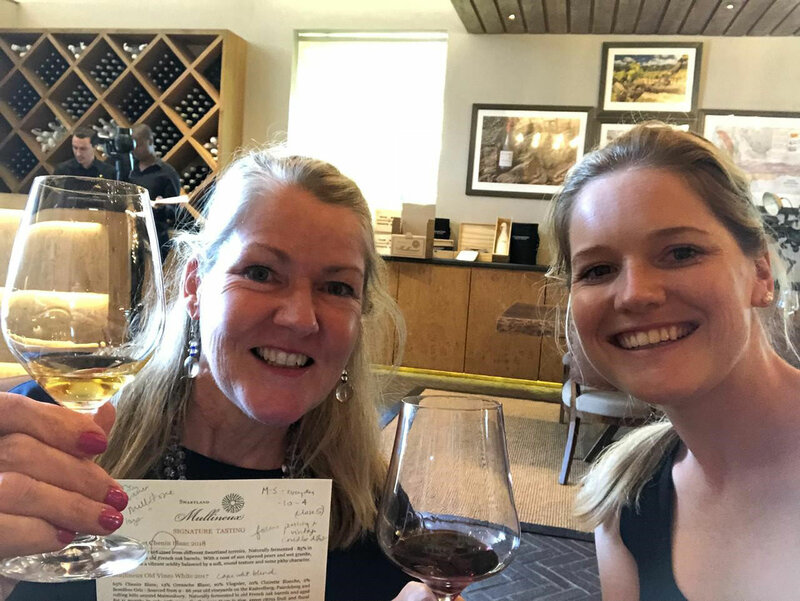 We spent three nights in Cape Town, followed by two nights in Franschhoek and finished with a two nights’ stay in Hermanus. In keeping with our motto of “We have seen the best, so you can”, we conducted a thorough inspection of over 45 properties. It really is important to actually visit a property rather than relying on the visuals and descriptions on the internet. It seems I have an acute sense of smell and sound, as I found myself enquiring of a few properties, “Is that mildew I smell?” and, “Are those windows double-glazed, as I am hearing a lot of traffic?” Pulse Africa won’t send you to mildewy, noisy hotels, don’t worry! One of Pulse Africa’s favourite recommendations continues to be the beautiful, nautically themed, “Cape Grace”. Located in the heart of the V&A Waterfront, this hotel is surrounded by water on three sides which not only makes it very safe, but also very pretty. Another popular choice is the romantic “Tintswalo Atlantic” which is situated at the base of Chapman’s Peak. The food is outstanding, the staff are cheery and the rooms are thoughtfully decorated in the theme of various islands. 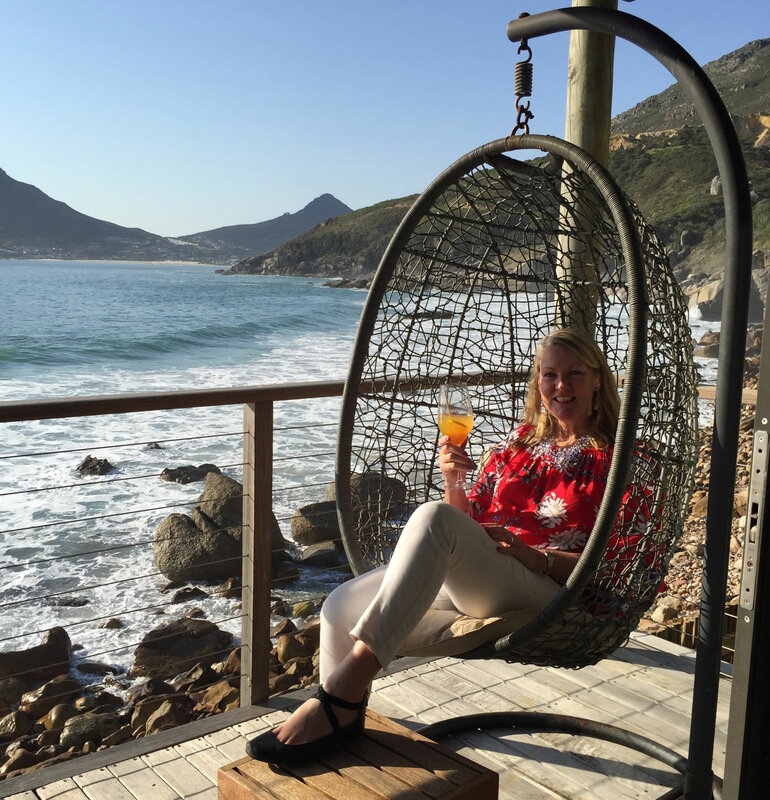 Our top two favourites in Bantry Bay are the magnificent “Ellerman House” and the “Clarendon Bantry Bay.” At both these boutique hotels, you can enjoy magnificent views and delicious meals, while being away from the hustle and bustle of the city. An hour’s drive from Cape Town will find you in the heart of the world-famous winelands of Franschhoek. “Leeu Estates”, one of our favourite properties, is a 19th century manor house which has been beautifully restored into a 17-room boutique hotel. Their spa, gym and pool areas offer serene views, and artwork by famous South African artists abounds. There is also a complimentary wine tasting of the famous “Mullineux” brand in a beautiful wine cellar on the premises. We took advantage of this offering-for research purposes only! Another gem in Franschhoek is the lovely “La Petite Ferme”. The views across the valley are some of the best in Franschhoek. This small boutique hotel has just nine suites- the most spectacular being the five newly-renovated Vineyard Suites which even have their own plunge pools. 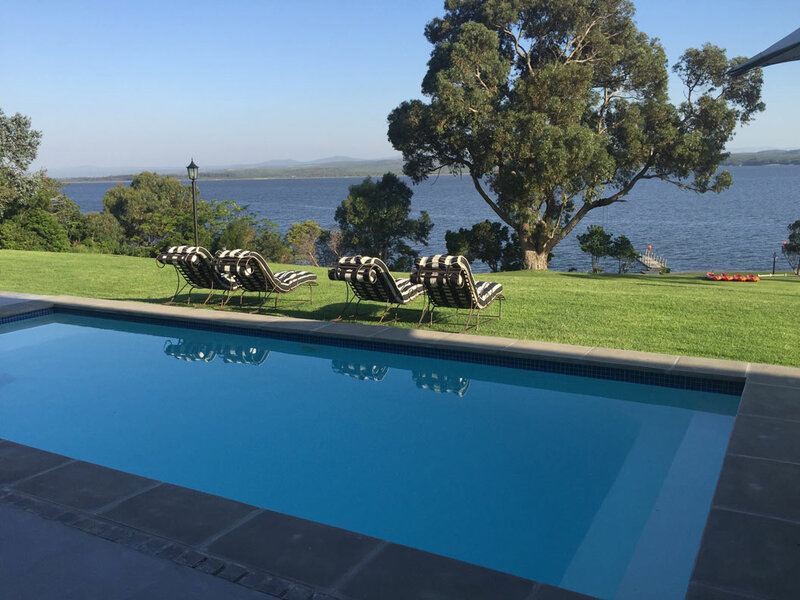 The pool is a welcomed luxury during a not-uncommon heatwave in the Cape, which we happened to experience. A ten-minute drive from town takes you to the ever-popular “Mont Rochelle” Hotel and Wine Estate. Richard Branson owns this property and had a tennis court built especially for his use. The good news is that you can use it too, when you stay here! Tennis at “Mont Rochelle” anyone? 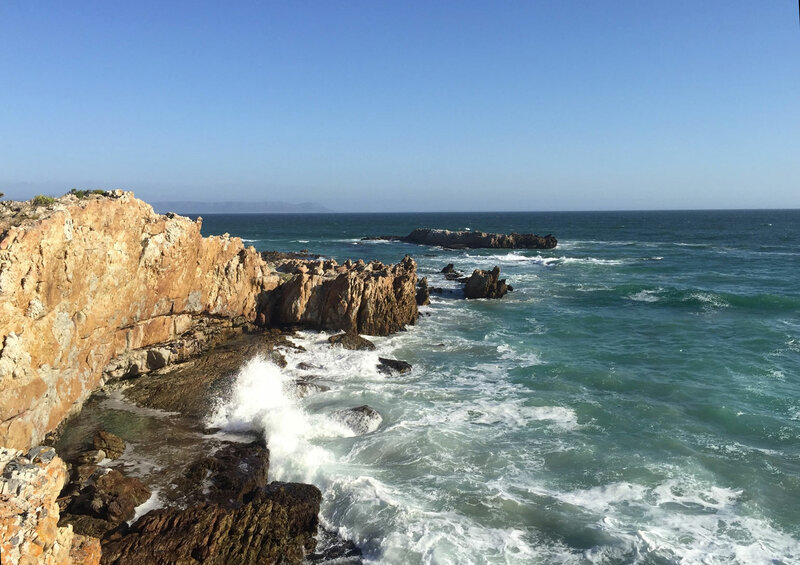 Our road trip continued onto the pretty coastal town of Hermanus, just over an hour’s drive from Franschhoek. We were lucky enough to be visiting during whale season, which runs from June to November, when the Southern Right whales migrate from the Antarctic to calve and mate. We went for several walks along the Cliff Path to enjoy the breaching and frolicking. Can you see famous Hermanus whales? As for accommodation, one is spoilt for choice despite Hermanus being a small town. “The Marine Hotel” is a lovely heritage building located right in the centre of town. Their “Origins” restaurant is a perfect place to view the whales while eating an Asian inspired meal. 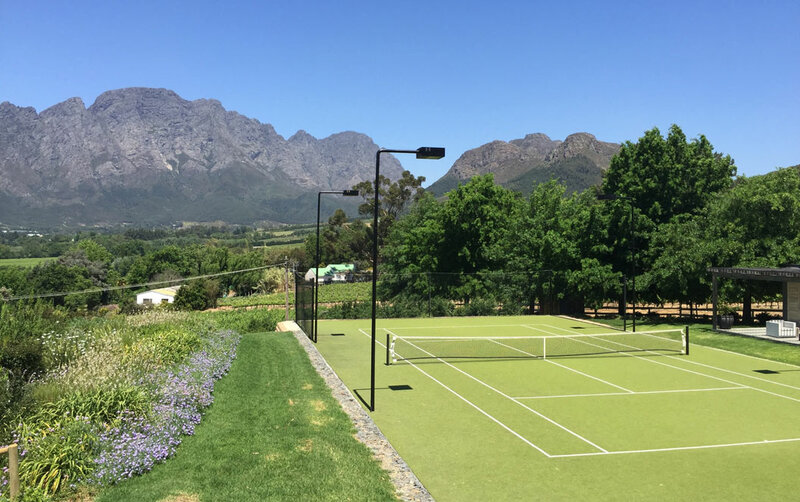 Alternatively, just outside town, the pretty “Thatch House” offers a multitude of activities including water sports, tennis, and a putting green all on the grounds of an elegant six-roomed boutique hotel. Sadly, after a week, it was time to head back to Cape Town and fly home. The drive from Hermanus to Cape Town Airport was one of the highlights. Be sure to take the coastal road (R44) from Hermanus (via Betty’s Bay) where there are beautiful vistas around every corner. It is a half an hour longer drive compared to the direct highway, but so worth it. We had to agree. Cape Town and the surrounding vicinity really is special. But we’ll stay humble about it. After all, we’re from Johannesburg! If you would like to come and see it in person, give us a shout and we’ll put together a fabulous itinerary for you.